The Villa Hummel is ideal for those who are looking for an individual holiday off the beaten track, are interested in the country and people and Turkey want to experience in their originality. German hosts rent in their own villa in Demirtas (about 25 km east of Alanya), on 2000 m² of land, an apartment. Quiet location, pure nature !!! The apartment with separate entrance is 100 m², has two large living rooms with American kitchen, two bedrooms, two bathrooms with shower and toilet and a large terrace. Facilities all necessary utensils and satellite channels include (German channels). 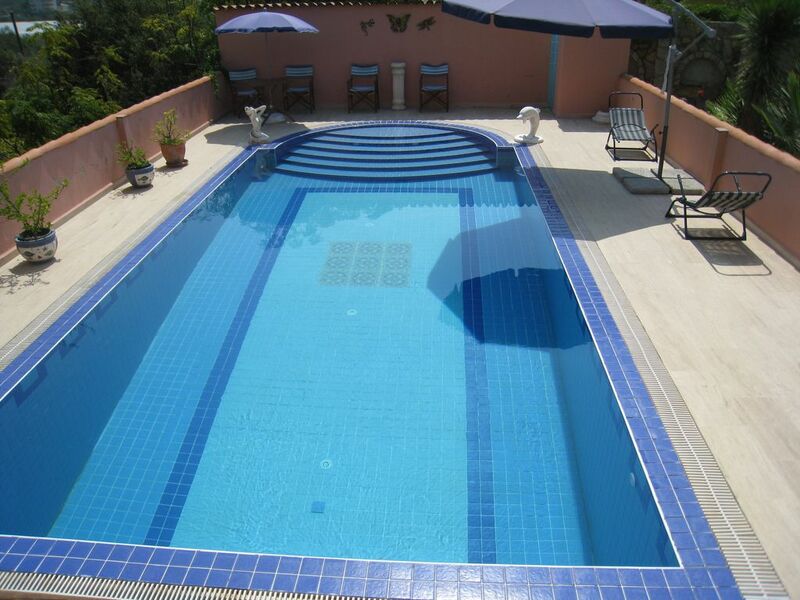 Also available for your use: swimming pool 8x4 with outdoor shower, landscaped with subtropical and tropical plants, garden, large terrace, roof terrace, sun loungers, parasol and barbecue. The coast has excellent seawater quality. You can swim, dive and fishing on sand or Pebble beaches. On the beach in Demirtas, there is a very nice facility. With excursions to historic sites or the enchanting Taurus Mountains, culture and nature-conscious guests can enrich their holiday.